The key to automatic transmission life is keeping the fluid fresh, clean and cool. When fluid temperatures exceed the optimum operating range of 160°F to 200°F it begins to break down, decreasing the life of the fluid and in turn the life of the seals, bearings and all moving parts. The #1 cause of automatic transmission failures is overheated transmission fluid. Today’s cars generate extremely high under-the-hood temperatures. Add to that the heat generated by an automatic transmission, and you’ll see why adding an auxiliary transmission oil cooler is a must for guarding against costly transmission repair. 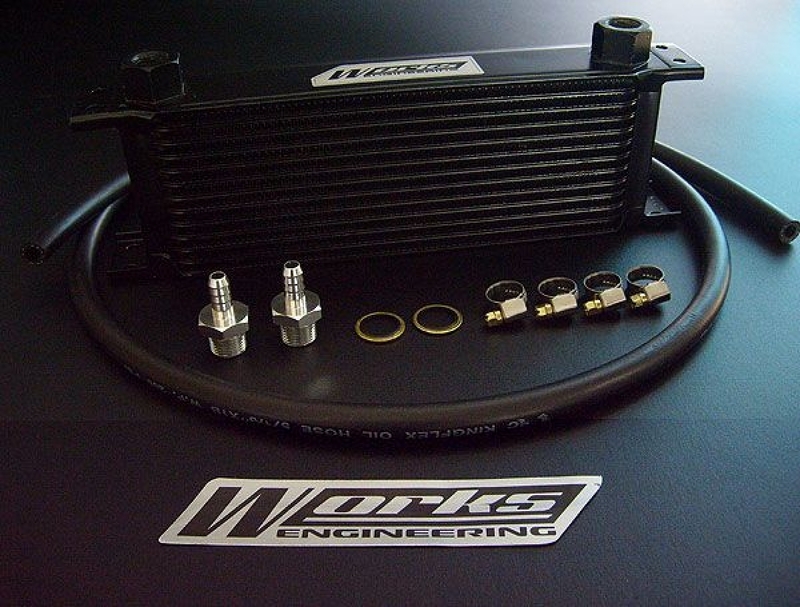 Installation of a Works Engineering ATF Oil Cooler kit will reduce your transmission oil temperature as much as 60 degrees, which will help prevent transmission burnout and extend the life of the transmission. 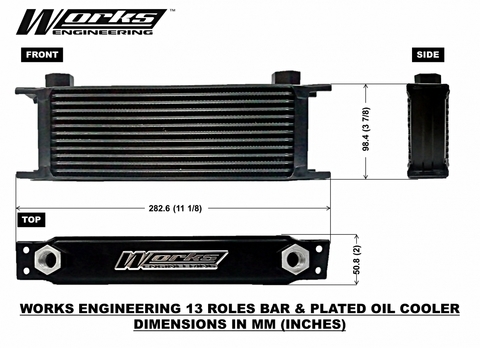 The Bar & Plate cooler construction results in an inherently strong cooler core of high thermal inertia. At 30% smaller in size than conventional Tube and Fin design, Works Engineering cooler core technology occupies lesser installation space and greater heat exchange. Each Kit comes with fittings, lines, and all hardware necessary for installation.